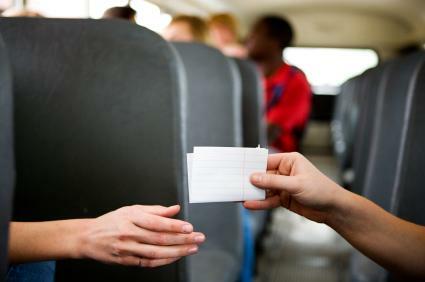 While twenty-first century teens may be more likely to text a love message, there's still nothing that compares to a hand-written love letter. So, when you're thinking of that special person who has caught your eye, make yourself stand out and jot down your heartfelt words. The following sample letters can give you an idea of how to put your thoughts and feelings down on paper in a number of situations, but you don't want to copy them word for word because then they won't really be from you. Just let them guide you as you write your own letter. I know we've only known each other for a few months now, but I've just got to let you know how I feel. From the first day we met, it was like I've known you forever, and I'm kind of shy so that's saying a lot. You were just so nice, and you made me feel at ease right away. That's the kind of guy you are, though, nice to everyone. I don't think I've ever heard you say anything mean about anyone, and that's kind of rare among our friends, don't you think? Anyway, it just makes me realize how special you truly are. So, I'm kind of nervous about saying this, but here goes. I really like you. Not just as my friend, but as a guy that I'd like to be my boyfriend. Maybe I should have waited for you to say something first, but I just couldn't wait any longer. I've wanted to tell you for weeks, but I didn't have the courage until now. I hope you feel the same way about me. I'll be sitting on the bleachers after school, and I hope you'll meet me there. It has been an entire month since you asked me to go steady, and it has been the best month of my life. I love watching you walk up to my locker each morning at school, and I can't wait to see you at lunch every day. The best part of all is meeting you after school when you walk me home. I love holding hands with you because your hands are so strong and warm. I always feel so safe when I'm with you. I know my friends are all a little jealous because I have the greatest boyfriend around. I'm surprised none of them have tried to steal you away. Just joking - I know none of them would do that because they all know I'm crazy about you. I hope you know it too. Can't wait until I see you tonight! I know I have to accept the fact that we aren't together anymore because that's the way you want it. But, I wanted to let you know that I haven't stopped loving you just because you don't love me anymore. I miss seeing you, and I really miss talking to you. You weren't just my girlfriend, you were my best friend too. I still think you're the most beautiful girl in school, and I think I'm going to love you for a long time to come. I can't imagine anyone else replacing you in my heart, but I'm going to do my best to move on. I hope that maybe one day we can at least be friends again, and if you ever change your mind about us, all you have to do is let me know. You don't know how much it meant to me that you called yesterday. I've been so miserable without you that I don't even care what we fought about. I'm just sorry I was so stubborn, and I'm so glad we're back together. You're really the only guy for me. I love your crystal clear blue eyes and the way your hair falls in front of them sometimes, and your smile always warms my heart. Most of all, I love your sense of humor. You can be so funny, and I love it when you make me laugh. Anyway, I just wanted to tell you how happy I am. I really love you, and I don't ever want to fight with you like that again. Tonight is our senior prom, and I just know it's going to be the most special night of our lives. How do I know that? Because the most special girl in the world is my date. I can't wait to see how beautiful you look in your dress. I know you took a long time picking it out. I bought you a corsage to go with it, but you'll have to wait until tonight to see it. One thing I know for sure, a lot of girls are going to get mad at their dates tonight when they can't take their eyes off of you. Tomorrow is graduation day, and I can't believe it's finally here. It really makes me want to look back at the last four years, and when I do, you're in nearly every great memory I have. I remember seeing you for the first time at our first Freshman assembly. I thought you were the cutest guy I had ever seen. Then we started getting to know each other while we worked on building the homecoming float, and I realized you were more than a handsome face; you were a great guy to hang out with too. Slowly but surely, we just kept drifting toward each until the day you asked me out to the movies. You'd laugh if you knew how many outfits I tried on before you picked me up, but I wanted to wear something that you'd really like. There have been so many dates since then, and sometimes it's hard to believe how fast these years have gone by. So tomorrow is our big day, and who knows what's in store after that. I know we're both heading off to different colleges in the fall, but I hope we can make it work. We've shared so much already, and you're such an important part of my life. I always hoped I'd fall in love someday, and I feel so lucky that it was with you. I hope we're always together. I know we talk more on online than we do at school, but every time I see your name pop on my screen, I can't help but grin. You have really touched my heart, and you make every day brighter with your comments, thoughts, opinions and the way you share them all with me. I wonder if we could talk like that in person - share those thoughts, that laughter and that fun together. The truth is, I think I'm falling in love with you, and if you feel the same way, I think we should get together and see where this relationship goes. Add a gift of chocolate to the envelope. Put your love letter in a bottle. Include a quote from a romantic novel. Writing a love letter can be a little scary, but there's no point in holding back if you decide to write one. You simply have to open your heart and show how you really feel. If you can do that, your letter just might wind up becoming a keepsake that special girl or guy will treasure for years to come.